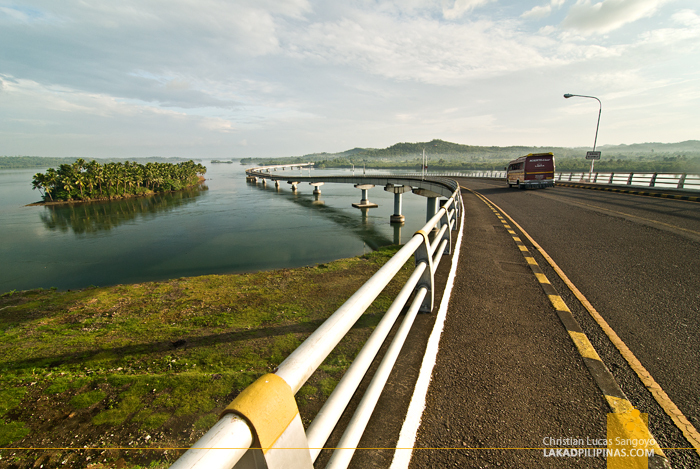 One morning during our four-day trip across Leyte, we decided to walk the length of the San Juanico Bridge. 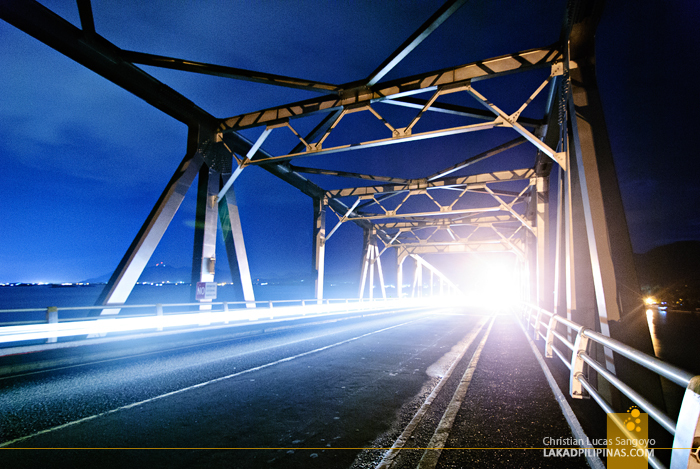 It was not a first for me, having gone through the longest bridge in the country, both during the early mornings and evenings of Tacloban City. I could write about this latest crossing, but my previous experience at this bridge was far more interesting. Let’s roll back four years ago. 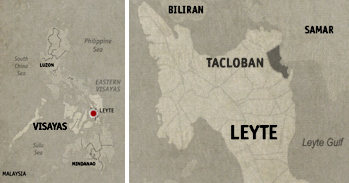 It was not in my planned itinerary to visit Tacloban City, or even pass it during my recent trip down south of the Philippines. A missed flight back to Manila from Cebu City for a connecting plane ride to Northern Samar forced me to reevaluate my plans and do an impromptu Plan B; Plan B being a combination of sea and land trip from the Queen City of the South to a little known island in Northern Samar. En route to my destination, I passed by Tacloban City where the Leyte portion of the longest sea bridge in the Philippines is located, the famous San Juanico Bridge of our Sibika at Kultura days. I do not want to simply pass this bridge inside a cramped bus; I wanted to savor all two thousand and two hundred meters of it on my own two slow feet. 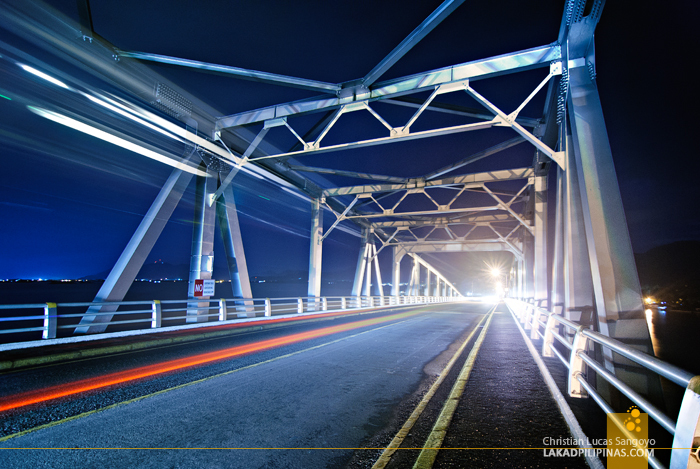 The San Juanico Bridge is a project spearheaded by deposed Philippine president Ferdinand Marcos; it was even dubbed as the Marcos Bridge for a time before its current moniker took hold. The president declared it as a gift of love for his First Lady, Imelda Marcos, who is a Waray-Waray. 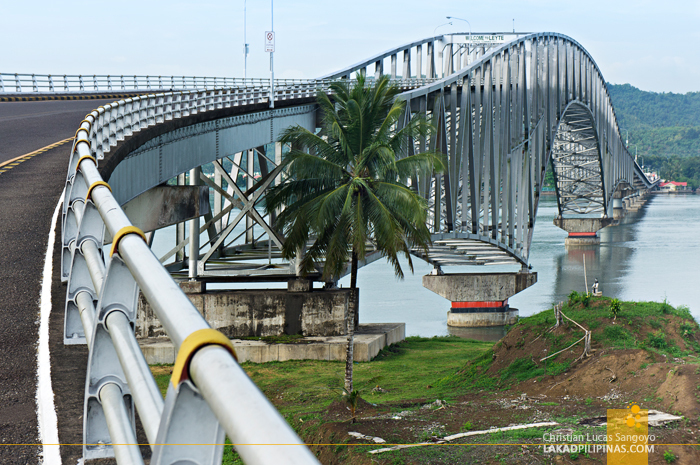 It was meant to connect the province of Leyte and Samar in Eastern Visayas and is designed with the joint collaboration of Filipino and Japanese engineers. 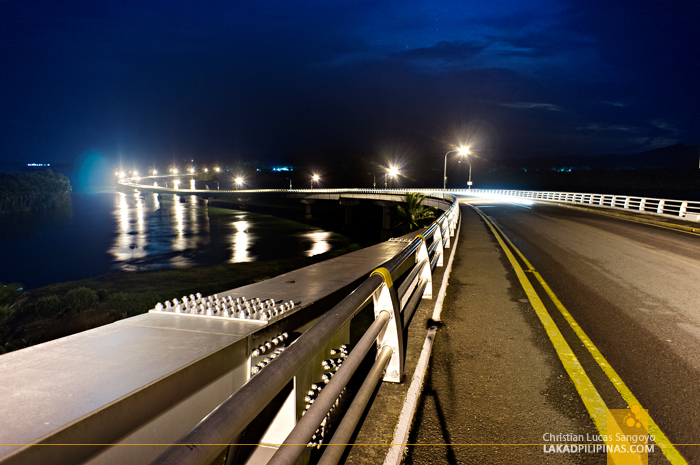 Now considered as the most beautiful bridge in the country, its construction was started in 1969 and it went into operation four years later. Rumbling through a bus, a plan was made in my head, I was going to stop over Tacloban City for the night, check out the San Juanico Bridge and maybe find some other spots in the city too, if there are any. But mostly, I really just wanted to walk across the San Juanico Strait, cross the province of Leyte to Samar and back again through the steel-spanned San Juanico. Lodging at Tacloban was easy enough. From the New Terminal at the outskirts of the city, I rode a multicab and alighted at the city downtown. From there, I just walked and looked for lodging houses. It took me around ten minutes to find an affordable one along M. H. Del Pilar street. The inn was quite old but it looked secure and safe, but more importantly it has its own bathroom and even has a strong wi-fi signal. For Php250.00 a night, it surely was a steal. 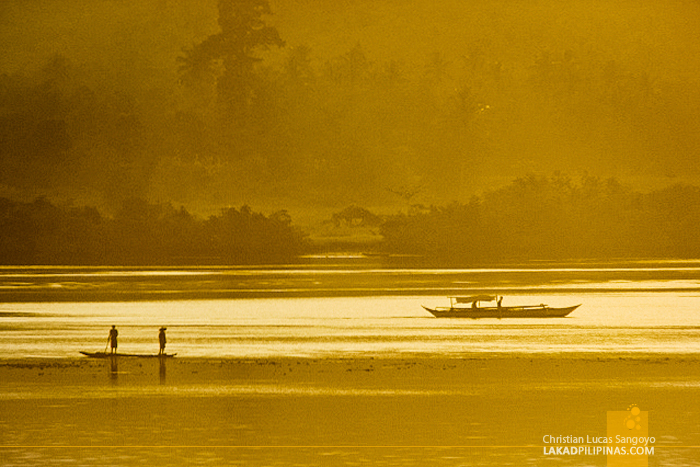 I hurriedly dropped my huge backpack, paid my lodging fee and went out with my camera and tripod. It was easy to find my way through the busy city streets through two helpful cops manning the corner of a road. 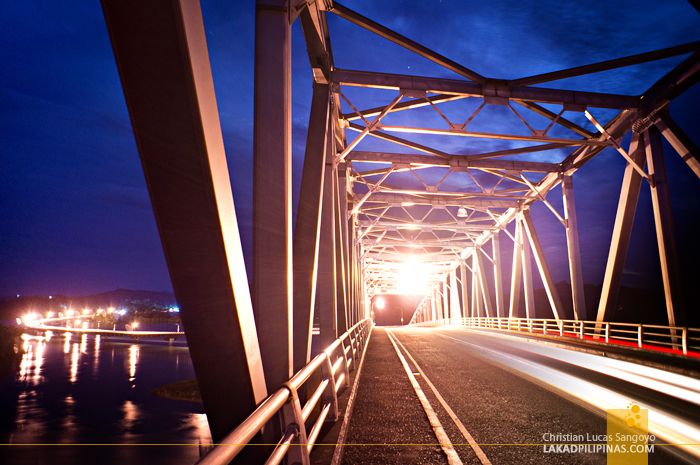 And by six in the evening, I finally made my way to the San Juanico Bridge. Darkness crept as I arrived at the foot of the bridge. Early evening had set in but I was determined to photograph the iconic landmark. 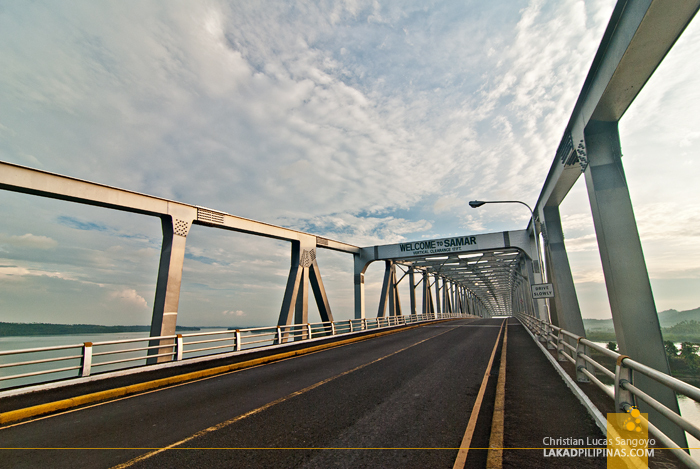 Passing a military checkpoint, I looked up and the San Juanico stared right back. It was an uphill walk to the arched girder and the bridge loomed over me. Walking in the dark, the bridge vibrated from the passing vehicles, I slowly made my way to the heart of the steel fortress. With only the stars, a few working lamps and the trails of passing headlights for illumination, I set up my tripod and whipped out my camera. The dark and silence of the bridge was unsettling but I was soon absorbed by the magnificence of the bridge and forgot whatever fear and trepidation that was previously running in my head. I walked slowly, savoring each step along the concrete sidewalks of the San Juanico. 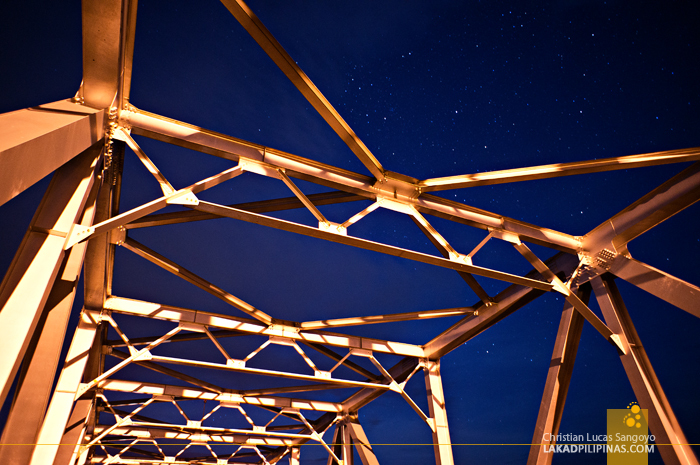 I can hear my own steps on the concrete as I watched the sky turn from electric blue to pitch dark, the clouds creep across the horizon, revealing more stars framed by the steel girders of the bridge. The night was extremely silent except for the unsettling creak of hanging lamps and the occasional trucks and buses that rumble through. Time seemed on standstill. I was so engrossed with the bridge and the night that I didn’t realize that it has already been two hours since I started my ascent towards the San Juanico. 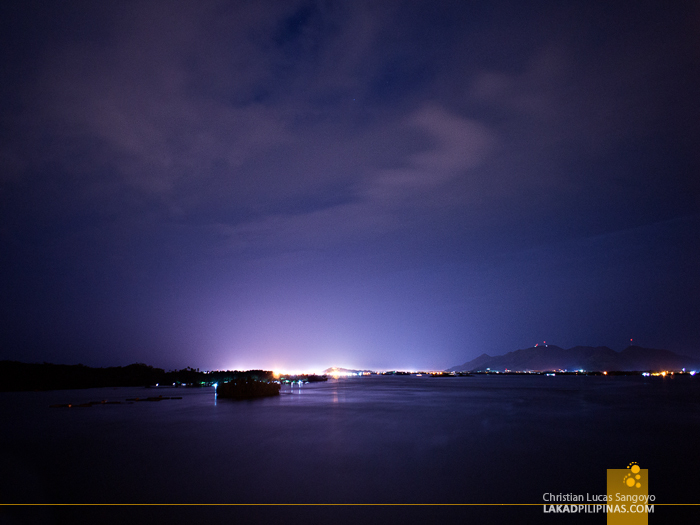 I kept on walking, pausing every now and then, crisscrossing the road and photographing the San Juanico before I finally called it a night. 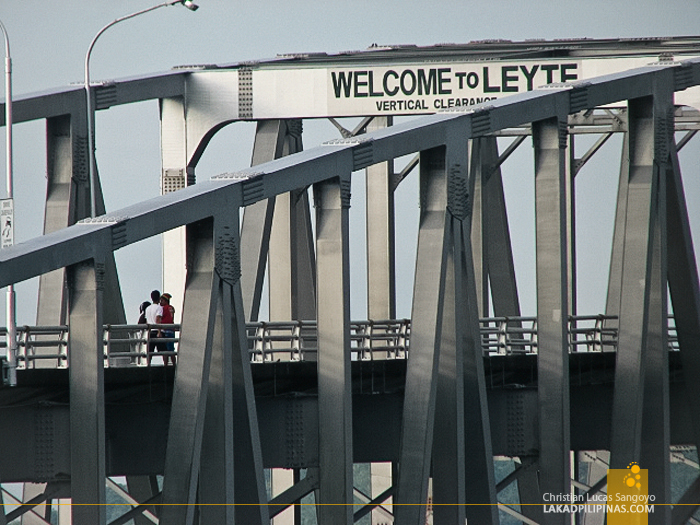 By then, I was way past the Leyte marker and was already at the Samar side of the bridge. The sky was twinkling with lights and the Milky Way can be faintly seen on the southern horizon. 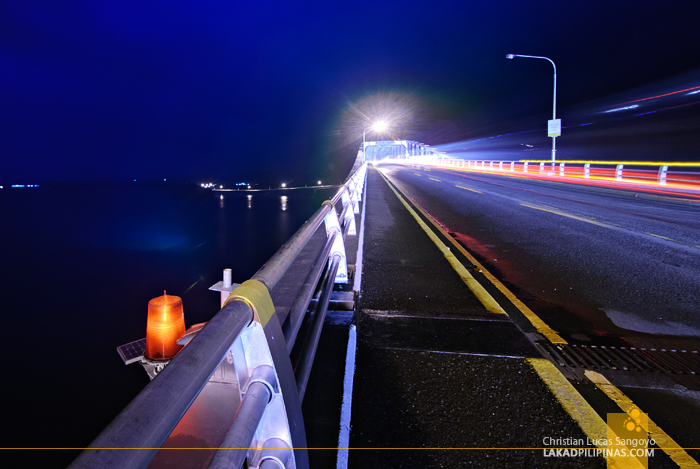 I looked around and saw the glow of city lights on the eastern side of the bridge. I paused and reflected about the flight I missed the night before and how I might have never seen this spectacle if I had somehow made it. I recalled how disheartened I was earlier and the messages I got from other travelers for me to go on; things happen for a reason they say, and now I know. I missed my flight because I was bound to be at the heart of San Juanico Bridge, enjoying the silent night with its stars and blue afterglow along the silently flowing waters shared by Leyte and Samar’s jewel of a bridge. How to Get There: From Tacloban City downtown area, there are jeepneys near the market that goes directly to the foot of the bridge.